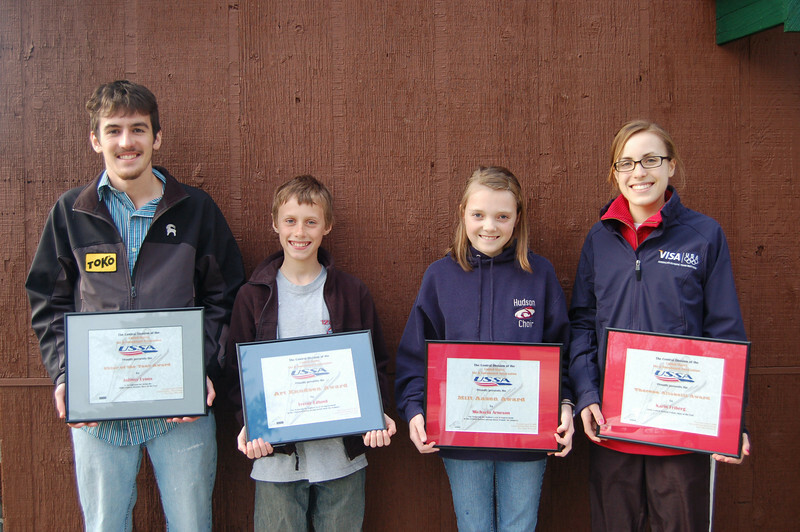 Each year the Central Division of the United States Ski & Snowboard Association presents Central Division Skiers with special awards. These honors are voted on by the Central Division Committee members and Central Division Club delegates during the Spring Panel Meeting. In 2008, the St Paul Ski Club was fortunate enough to have had four skiers that were presented with these distinquished awards. Congratulations to our skiers on such a fantastic year!!!! The 2008 Best Overall Junior Male Skier: Adam Loomis from the Flying Eagles Ski Club in Eau Claire, WI. 2008 Nordic Combined Male Skier: Daniel Englund from the Kiwanis Ski Club in Iron Mountain, MI. 2008 Nordic Combined Female Skier: Nita Englund from the Kiwanis Ski Club in Iron Mountain, MI.